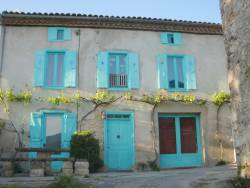 Holiday cottage for 6 people in Ornolac Ussat les Bains near Tarascon sur Ariège in Pyrenees. House of 120m², facing south, with stunning mountain views, courtyard and enclosed garden. 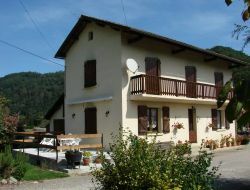 Gite situated in a small hamlet of the Ariège, in a pedestrian street (parking at 20m), surrounded with paturages and a river near. Very pleasant mountains environment, assured tranquillity. Departure of strolls and hikes near the cottage with the GR10. 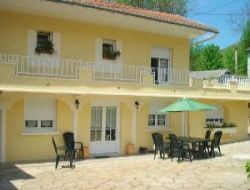 Holiday cottage situated in the Regional Natural reserve of the Ariege Pyrenees, between the river and mountains. Very beautiful sheepfold restored of 160m ² on a garden of 600m ², with a fantastic view over the village and the mountains. 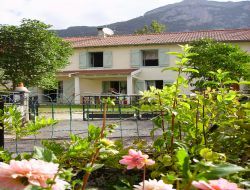 Holiday home situated near the center of the village and the thermal cure center of Aulus les Bains. 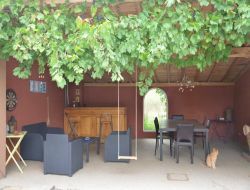 Our cottage is located in the heart of the village of Leychert, at the foot of the Ariège Pyrenees. Rustic, with exposed beams, it has preserved the soul of old houses. You will appreciate an atmosphere "by the fire" or the summer near the barbecue as well as the proximity with the hiking trails. Many outdoor activities also: climbing, paragliding, canyoning, tree climbing, lakes and prehistoric sites and many cultural events throughout the year. 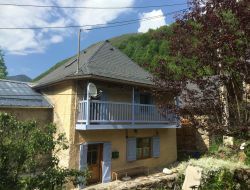 In the heart of Pyrenees, in the Ariege, gite of character for 5 persons, allying comfort and conviviality in the quiet and the authenticity of a village of mountain. 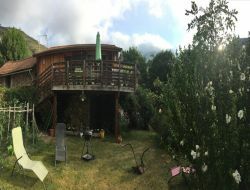 Our holiday cottage for 8 persons situated in a quite small hamlet of the Ariège is a place of peace which we wanted a little bit different... A little bit wild place where we sometimes hear to beat the heart of the world. 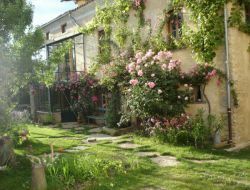 ewly-renovated gite set in around two hectares of grounds in an peaceful yet well-connected location with panoramic views of the Pyrenees. It has three generously-sized bedrooms and a comfortable open-plan kitchen, dining, living area with woodburning stove, English satellite TV and wifi internet access. It is very family-friendly with a UV-treated pool enclosed to French safety standards, swings, and a large, netted trampoline. Children's toys and books are provided as well as baby equipment. Holiday home situated in the entrance of the village at the top Couserans at the heart of the natural reserve from the Ariège Pyrenees with a closed, raised garden near the shops: restaurant, grocer's shop, pharmacy, doctor and also activities equitation, cycling, hikes, tennis, fishing, ski, snowshoe, balneology and the pleasure of the rest. A former barn revisited by an architect... Find you in our beautiful house for holidays nature at the heart of the Cathar country. Waterfall, torrents, lakes, hike, walk, strolls... Cave, castle Cathar, Romanic church... To you to choose! The house carefully renovated will offer you the freshness of its walls in summer and the conviviality of a beautiful fit in winter.